There was a checkpoint too that caused heavy traffic in Coastal road so we had to take another route, my head was bobbing up and down since i was sleepy and the van was taking baby ant steps in the highway. I hope the curfew will be lifted today or tomorrow because this is the only opportunity that I can go out again with my sister and do our favorite activity which is doing some shopping and price comparison. I want to take her to Serendra, Mall of Asia, the Global Fun Carnival, Metrowalk, and if I am lucky, I might finally buy a digital camera for myself and start looking at other gadgets as well. There are some websites like Savebuckets.co.uk that you can visit to find the latest in technology and compare prices too. I feel like I've just came out of a washing machine (i haven't stepped into one YET but there's no better way to describe the feeling) - tumbling, rolling, sometimes you're up, after 2 seconds, down again, up - down, now you get it. What's good with a washing machine though is that the clothes come out clean and in their best squeeky form after a wacky ride. Life is a washing machine - there goes my meaning of life, after 22 years of existence. I got the photos today from Money Talks during the Blogging for Money Seminar. Ahh, good times. I love it when my brain acts like a sponge. I won tickets to The Kingdom premiere night which i enjoyed last Monday. good times, indeed. 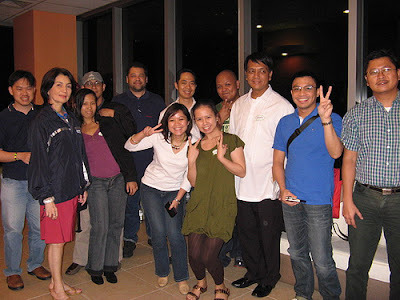 Why is blogging successful in the Philippines? This is the BIG question in my head right now, why are pinoy blogs successful and why do bloggers in the Philippines enjoy blogging so much? Blog. Blog. Blog. I have few speculations like one, our culture is friendly and it's easy for us to make friends may it be online or face-to-face. Our online communities are like baranggays (towns) where everyone knows everybody, thus making the pinoy blogosphere a small world where everyone is welcome to come aboard. Hmmm... do you have any more ideas about blogging in the Philippines? I actually created an account in Facebook today after receiving an invitation for another blogger's meet up next week. I hope to meet more bloggers tomorrow too in the Blogging for Money Seminar at the Podium. Do you want a manananggal (half-bodied monster) to become your bestfriend? It was my first time to attend the Animation Festival of ACPI (Animation Council of the Philippines) at Robinson's Galleria and I got to view some teaser trailers of the upcoming animated features last night. Dayo was one of the animations shown and it's the best animated film from the Philippines that I have ever seen. The story itself, where a young boy becomes friends with a manananggal, is very interesting, especially when the boy said "Huwag mo kong kakainin ha!" 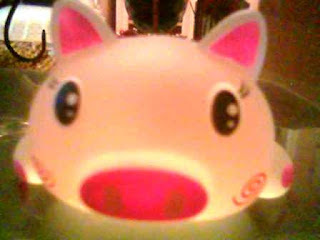 (Don't eat me okay?!). 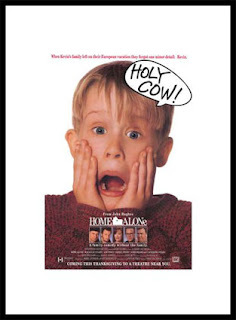 This movie is set to be shown on December 2008 and i hope it makes it to the cinemas. Art is definitely everywhere and like what the musician said that night, our hands have different modes of expression using different tools. I guess most people nowadays express themselves using the internet and websites, website design is definitely an art form too, may it be a serious site or an online casino review website. Now I am wondering why there are lots of online casino review sites like Pro360, but their website has a neat and straightforward layout which i learned to be very effective. It even has cute little buttons on the top menu and i wish i can have something like those too in my very simple blog. Without batting an eyelash, my answer to that is Career with a capital C! One really doesn't have to choose but the girls over at this forum i am active at, observe the same, that when your career is doing a bit well, your lovelife seems to get in the doldrums. Maybe the YinYang philosophy is really in effect. 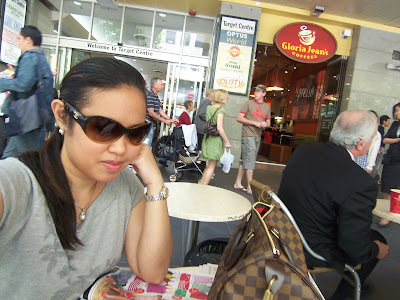 Just to share, I rarely see or even talk to my partner with 100% undivided attention and that leaves me more time studying and doing tiny weeny blog projects over at Pinay Money Maker. On Saturday I shall attend a seminar in Podium called "Blogging for Money" which really cost me money (Php 1,500) but I expect I will learn a lot and knowledge is always priceless. I am not monetizing this blog but i'd like to experiment with Pinay Money Maker. I just woke up, my brain is still in oblivion. I am listening to Aerosmith and why does their music make me think about the things i am passionate about? for the persons i am crazy about :) one of my favorite music videos of all time and one reason why i love Alicia Silverstone. I am fresh from the Internet Marketing Seminar at the Philippine Trade Training Center (PPTC) and I must say that it was very helpful for both semi-IT professionals and especially to the SMEs who also attended. Internet Marketing is a very broad subject but the main point was there's no escaping the need to go online and have an SEO'd website. Google's consultant Aileen Apollo was there and she showed everyone how Google can help simplify internet marketing with their FREE tools. The latter part was focused on e-commerce and how having a shopping cart software in your website could facilitate more sales. Most of the attendees were business owners and some don't know how to build a website yet, the speakers recommended Dreamweaver software which they say, would also help with SEO and i have yet to find out why :) Actually, there are many softwares available for business owners who would like to go online such as the Shopping Cart Software by Ashop and another software was mentioned by a speaker that can even trace the activities of the buyers and visitors. Most business owners really don't have time to tweak HTMLs and SEO their own websites but relying on ecommerce software can be costly so I suggest you try them out first. Most offer 30 day trials so take advantage of them and experience before you buy :) BUT I suggest that as early as now, if you have free time, try to learn HTML, blogs, and SEO because these are the cheapest and most effective ways in internet marketing. Maybe I can teach my little sister how she can make use of internet time wisely and make money at the same time. Tomorrow I will attend a seminar on Internet Marketing and I hope to learn more about these internet stuff and how I can possibly apply it at work. It's heaven sent, this seminar, even though it's not directly about writing or SEO it's useful for someone like me. I'll try to share what I can pick up tomorrow but in the mean time, you folks can try Smorty and earn some extra money for Christmas while i go ahead and rest my brain for tomorrow. Good night! 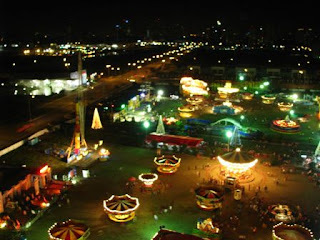 What better way to start the Christmas season than a day at the carnival? 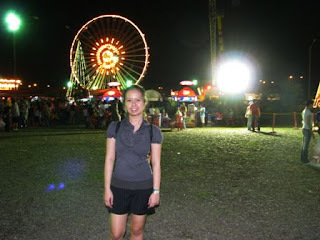 If you've noticed the large ferris wheel behind Mall of Asia, that's where Global Fun Carnival is. It's conveniently located near the Esplanade and it's walking distance from the mall. 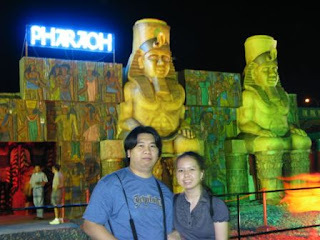 We jump started the carnival adventure by entering what seemed to be a historical attraction called Pharaohs and historical, it's not! But a place you'll hesitate to navigate inside (i only managed to walked 10 steps from the entrance). It's very creepy with the sounds and the pitch dark environment inside. I never imagined i could run so fast, faster than a tri-athlete, when a mummy suddenly appeared and ran after us. I dared not to enter again, and there goes my 60 pesos. After that, we lined up for two hours to ride a medium roller coaster. I suggest you bring a portable chair and maybe try going on a weekday. 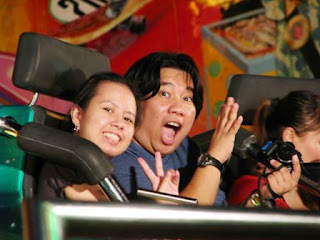 Don't under estimate the rides at Global Fun Carnival, as for me, it made me scream my lungs out and hold onto dear life. If you want to take a perfect photo from the top, don't forget to bring your camera as you ride the ferris wheel. This one was taken by our friend, Mark with his brand new Canon camera. Ticket prices are 300 for ride all you can, and 100 for the non-rider. It's monday and my flu seems to get worse, no amount of bio-flu medicine can cure me, it only makes my bones feel soft and the soles of my feet feel like cotton when i walk. Definitely, not advisable to take at work, so drink it before going to bed and pray you'd get better the next morning. 2. I want to re-layout my blog, i've added a category section on the left but i see most pinoy blogs these days having a similar layout with clean navigation and categories on the right side. It looks like wordpress but i haven't spent time studying wordpress and changing my blog url will cause chaos for my reader friends. 3. I want to increase my adsense earnings! Suzaku Lace has a PR 4 in Google pagerank which is a good thing! But earning a few extra dollars is not bad too, maybe i should seriously find someone to re-layout my blog. 4. Maybe i should stop thinking now and go to sleep. It was already 7pm when we arrived in the new SMX, the convention and exhibit building of SM Mall of Asia, and because it was night, the lights made the new structure even more beautiful. I missed last year's COMMDAP Expo so yesterday i was eager to find out the new computer gadgets and softwares the IT Industry offers. Entrance was free but there were less people when we arrived as they were about to close. I didn't see anything unusual but I was happy to see new micro SDs with gigabytes of capabilities and the Kingston USB flash drives of up to 4GB selling for 1,700 pesos. Most of the exhibits were wireless fidelity or WIFI gadgets for personal use. Being around computer gadgets brings me to Neverland and i must say, the SMX is the perfect place for events like these as the structure is big enough to hold thousands of people and the facilities look promising. thank you to azrael and mark cerbo for the photos. Have you ever rode one of those moving animals inside the mall? I did! Yesterday i called my friend for dinner and after stuffing our bellies in Friday's, we found ourselves heading towards the arcade in Robinson's Galleria. Surprisingly, a lot of things amazed me inside the arcade. Take for instance the massage chairs you can enjoy for two tokens (P10) and the animals you can hit with a hammer (stress release). I dared my friend, mariel that we ride one of those moving animals (these are designed for kids only but an adult can fit in too!). Teary eyed and covering our embarrassment with laughter, we chose an animal of our own (mine is giraffe) and slipped two tokens each and off we went circling around the carousel! Azrael also found Cinnamoroll's inside the UFO catchers and we spent so much just to get one but we didn't. Each try is worth 5 pesos. 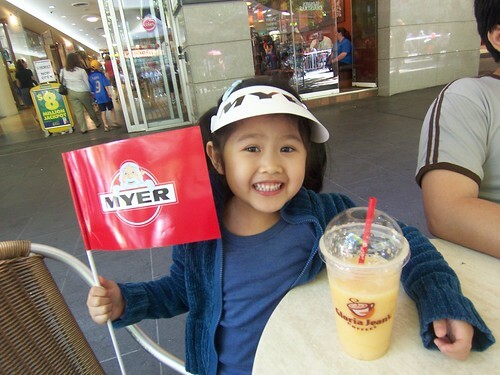 It was a very fun spree, Mariel was very eager to win tickets when we don't even know what we could exchange them for. Too bad though, I was informed today that Mariel's phone was stolen on her way home :( Bad guys! Bad! One of my wishes came true too! I miss my sister who's in Australia very much and my reservoir of our memories together is about to run dry. I can feel it in my veins that i need to stick close to her soon, just so I can touch my gene and blood kindred. 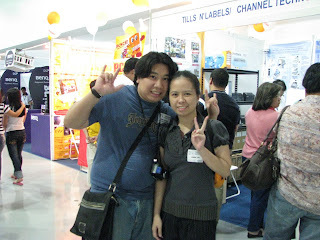 (she loves vampires) Last night I received an email from her with the subject 'Balikbayan' and yes! they are coming home this Christmas. Finally, I can see my one and only favorite niece Anya and she can tell me her bedtime stories sans the webcam. My mood is so bright and shiny and no monster can eat the bright and shiny away. I just spent 1,500 pesos yesterday to have my broken Nokia 6101 fixed. 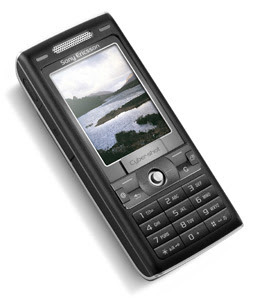 The thought of buying a new phone kept tinkering with my head but I guess this is not a good time to buy a phone - yet. With all the developments that are bound to happen somewhere near 2008, such as iPhone's firmwares/updates (one arrived already last September) which will make unlocked iPhones "brick" or not function properly, the best thing to do is wait and observe. 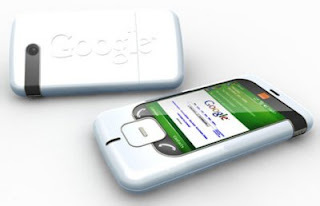 I was looking at technology blogs this morning and I was surprised to see a Google Phone! sounds very exciting except that after more research, I found out that Google isn't investing in a mobile phone. Haha! If it were true, then that's another good reason to wait. Mobile phone prices are also going down constantly especially this coming Christmas, and iPhone is bound to dominate the holiday sales. Even if iPhone's are in Greenhills selling like pancakes, let's hope a local network can start collaborating with iPhone so we can use it legally. Hay, you know you're a Filipino if you can't get enough of cellphones. At first I could not figure out who it was, I thought it was a model with the same name as Kris Aquino, but it really is Kris Aquino! I believe it's her first time to pose for Preview but this is amazingly uber-gorgeous. Black makes her fair skin glow and "Tough Chic" suits her personality with all the rumors and situations she managed to conquer. Saffron Sauce and Pinot Noir, anyone? The movie No Reservations made my taste buds sweat. 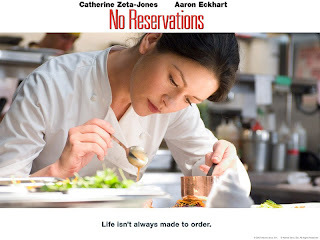 Starring sultry actress, Catherine-Zeta Jones, her character makes gourmet food more enticing. I can't help but compare the movie to Ratatouille where the plot also revolved around the kitchen, secret recipes, and magical ingredients. In No Reservations, Saffron Sauce was a star and the Pinot Noir from Adelaide, Australia was also mentioned. Saffron Sauce reminds me of the saffron here in the Philippines which is rather cheap and easy to find. It can be easily bought in markets and is known locally as "Kasubha". Buy lugaw or rice porridge in Manila and the vendors will generously sprinkle saffron on your dish. Aaron Eckhart, who was excessively charming in the movie with his immaculately white apron, made me wish I had my own sous chef. Story wise, it's simple and realistic except for the shrink part. I suggest watching it with someone who has the gusto for fine dining and creativity in the kitchen. Passionate people will easily relate to Kate's scenes like how she almost kills customers who shoddily complain about her dishes and how she feared change. I enjoyed the movie so much that it nudged me to cook dinner. A definite must-see for someone who has the ardor to experiment in the kitchen and taste-test life's surprising dishes. Tomorrow, i'll be all by myself at home, for a whole day. It's my first time to be alone in the house, so much for my wish of having my own planet. I better get used to it because of all the trouble there is, which i am covering up with new hopes and dreams. 2. Play loud music so the thieves would think i am having a party and many people are inside. 4. I will keep the gates locked, the doors, and the windows. 8. I will just throw pieces of bread to my dogs. I don't like feeding them because they scratch my legs. 11. Should i go as far as making human figures out of cartons?? ?